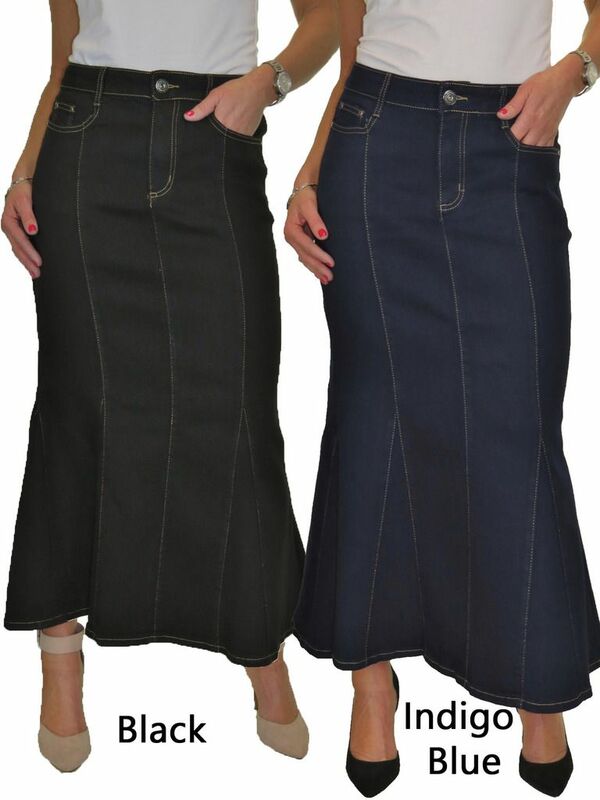 This is a stretch denim jeans skirt, with fishtail flair. 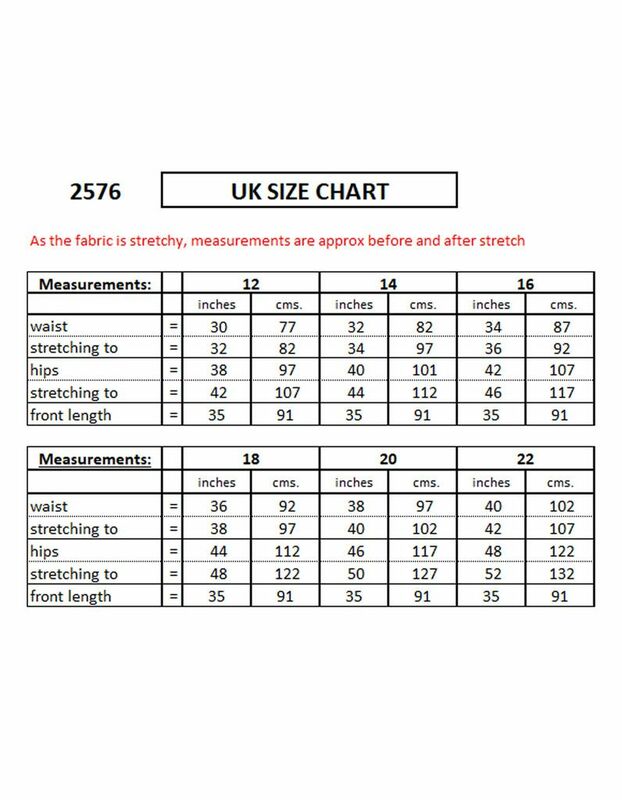 The fabric is stretchy and has been smooth washed. Front has 3 pockets with dark silver colour rivets. 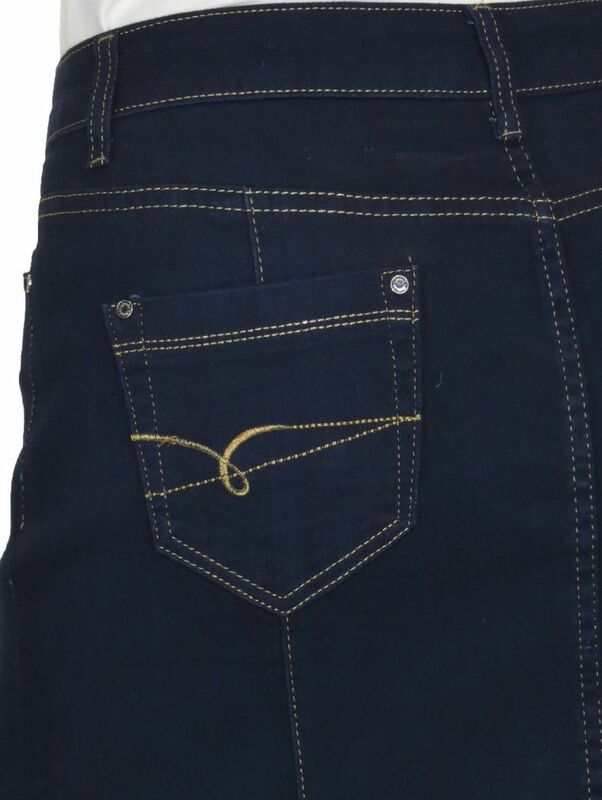 Back pockets have matching rivets, and stitching detail. 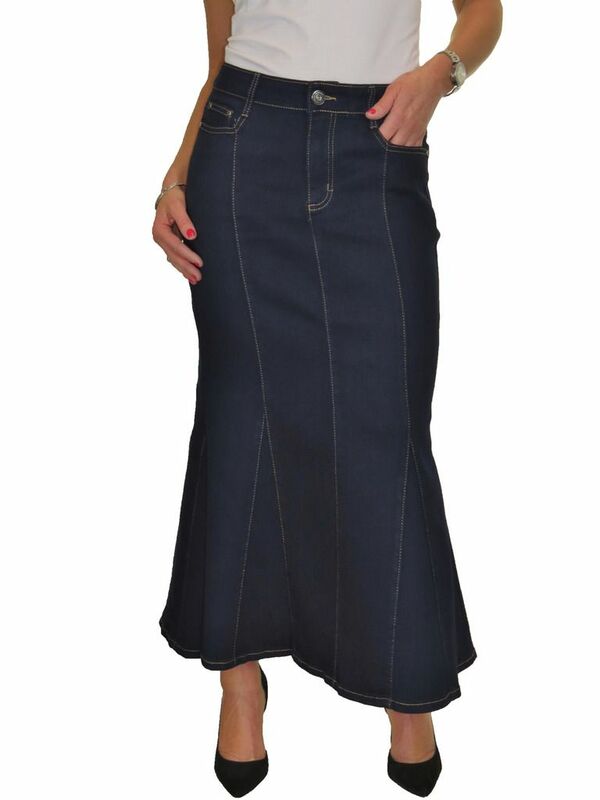 The waist has loops, and a matching stud button. The back has a slit opening.